Rethinking Faith and Church: The Church in the Matrix? You've sat on the church pew week after week, month after month, and year after year. Why? Partly because that is what Christians do, or so you've been told. After all, that's the way it has always been done, hasn't it? Christians "go" to church, don't they? They go to church, sit neatly in rows as they look at the back of the head in front of them, listen to some announcements, sing some songs, put some money in a passing plate, listen to a sermon, sing another song, and go home, only to do it all over again the following week. No one questions it. Such is church life for many. Such is the church experience for many. It's what we do. Then why do you struggle with it so? If you didn't struggle with it all, you likely wouldn't bother with blogs like this one and like a host of others. If you didn't struggle with it, you wouldn't be looking beyond the pulpit in front of you. But "you're here because you know something. What you know you can't explain." 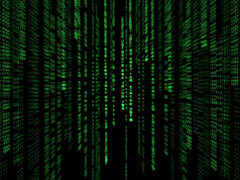 All you know for sure is that your church experience feels strangely like it might actually be "The Church in the Matrix." All you know for sure is that something isn't quite right. I understand that feeling, for I have been there too. Is it just me, or is this scene from the Matrix full of religious motifs from the institutional church? Hmm, I wonder. The spiritual connotations in this video clip from the Matrix are absolutely amazing. 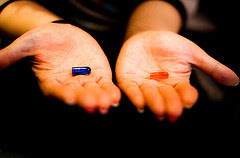 While the "Blue Pill" bunch, those still within the institutional church system, may not see the connection, I suspect that the "Red Pill" bunch that have left the institutional church will likely see it right away. I cannot help you with your confusion over the way things have gone within your institutional church experience. No one could tell me what to believe about this either. I believe that it all comes down to a personal revelation. I believe that the world stage is being prepared for something. I am convinced that God is preparing His church for something. I cannot help but wonder if this growing army of Christians, this exodus from institutional Christianity, isn't somehow going to be a part of God's end time plan. I like to think so. I suspect that your confusion about "The Church in the Matrix" may be a sign that God is beginning to reveal a few things to you too. Perhaps you too are now ready for the "Red Pill" like many others before you have already done. Can I get you a glass of water to wash it down? People always seem to be searching for that fantasy rabbit hole that really only leads them astray, and in which they can lose themselves. 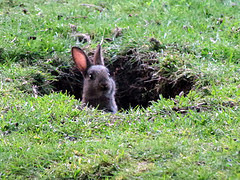 But the problem with holes, rabbit or otherwise, is that they can also give you that "sinking" feeling (pun fully intended). "You're here because you know something. What you know you can't explain." But you're reasonably sure that somebody has been pulling your leg and trying to lead you astray. But remember, teachers and preachers will come and go. People will always gather themselves around those who will give them "what their itching (rabbit?) ears want to hear" (2 Timothy 4:3). Perhaps that's a characteristic of the "Blue Pill." Maybe we should just stop all our obsessions with the rabbit hole. Maybe we should stop our obsession with "The Church in the Matrix." Maybe we should just stop giving airtime all this religious and institutional stuff, and focus all our energies only on Jesus. Perhaps that's a characteristic of the "Red Pill." Maybe we should just stop being afraid, and believe that, though we may not know what tomorrow holds, we do and can know Him who holds it. I vote for focusing all our energies only on Jesus. Since the word is true, He is our only redeemer in any circumstance....be it religiousness or institutional stuff.